Playing with Finger Paints Winter Sky | Light Your Nails! Very pretty! I love that satin top coat. I have not seen one here yet. I like it with satin top coat even more than alone :). And also I like the final mani! Thank you! I think agree with you! I hope everything is okay now in Italy. I really love these manis. Molto belle!!! mi piacciono moltissimo! Ma complimenti l'effetto è bellissimo! 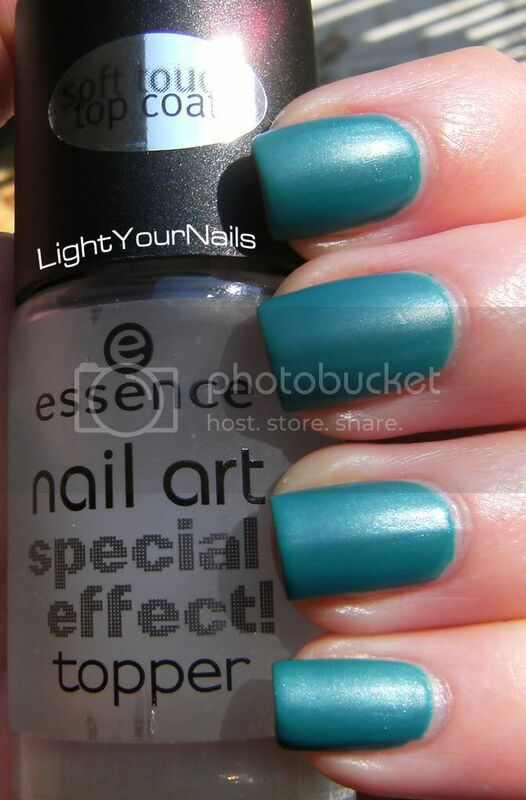 Non conoscevo il top coat Essence, se lo trovo lo prendo sicuro! A breve faccio un post per far vedere la differenza tra il matte e questo! Thank you! I'm posting a comparison between this satin top coat vs the matte one! So pretty! I love this manicure! Davvero bello l'effetto satinato, io amo il Soft Touch Essence, da quando ho iniziato ad usarlo mi sono dimenticata delle N boccette di matte che avevo accumulato. Ahhhh anche io ho mandato in pensione il matte! Qua tutto ok. Le persone sono molto spaventate dalle parti del mio moroso ma noi per fortuna stiamo tutti bene. That is a great layering polish. Looks good. 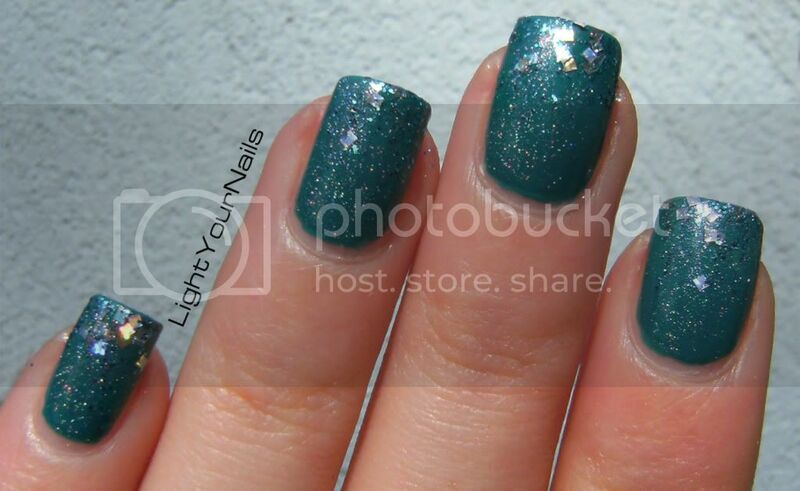 This is such a pretty mani!